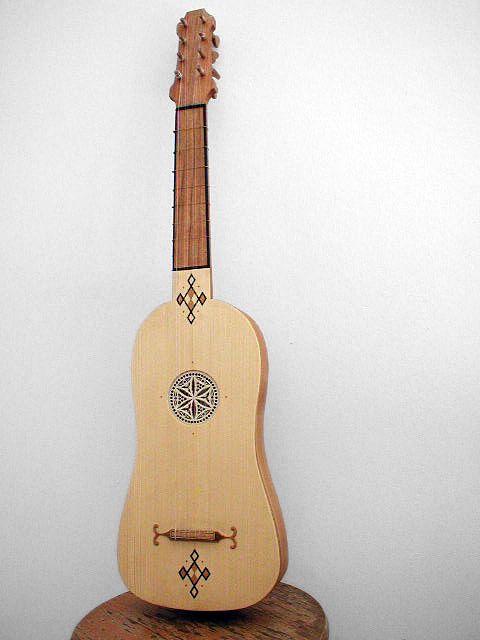 Tuned in A. Spanish or French design, both with flat back, and based on iconographical evidence. Simple parchement rose. 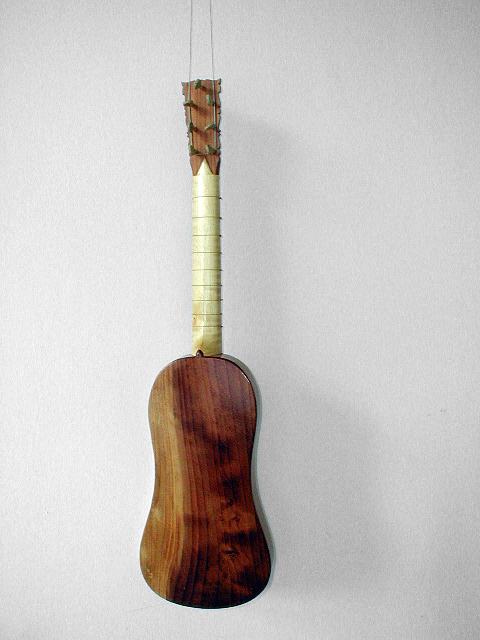 10 tied frets. 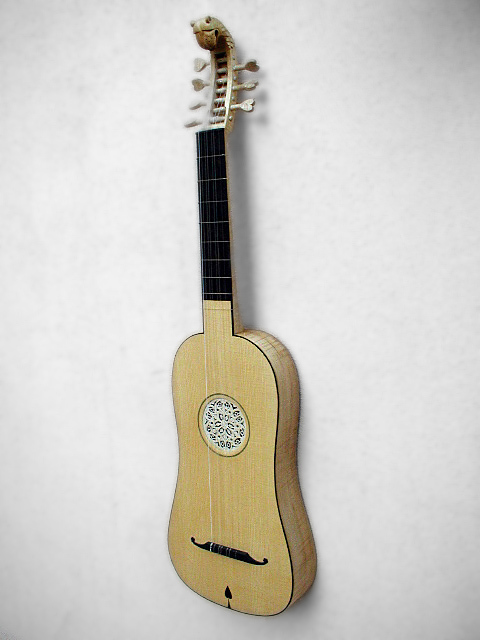 String length of 56 cm. Turned or carved pegs. 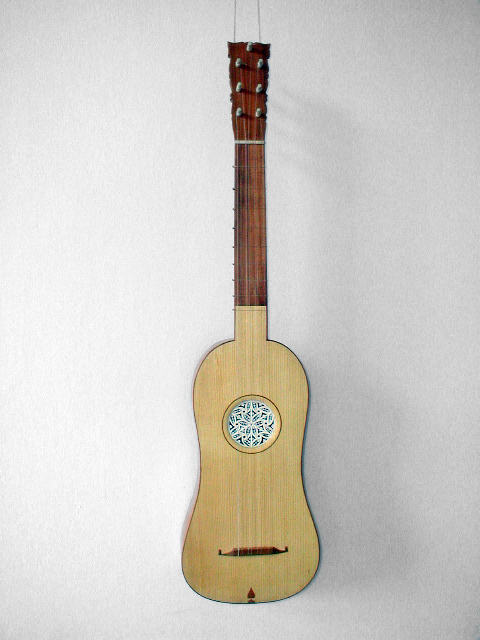 Made of walnut, cypress or maple, with inlays on spruce soundboard and vihuela type head. 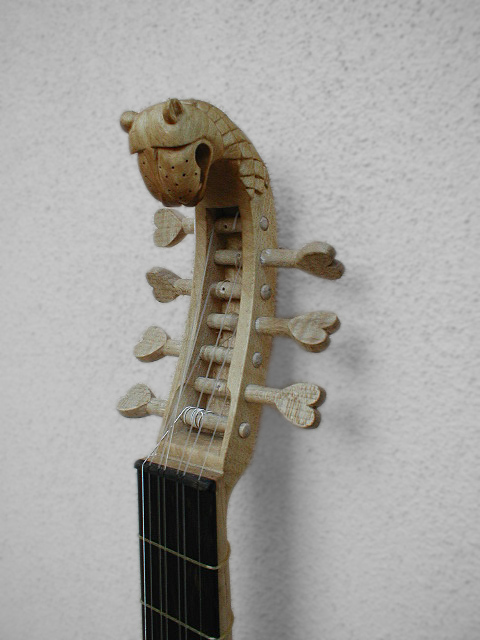 With or without lion head, pegs entering from side or back, 7 pegs, as opposed to 8.